The applock is perhaps the most rudimentary of security apps. The way it works is that it will lock up your other apps from prying eyes. That way you don’t have to worry about someone accessing your Facebook, gallery app, or banking app. They work best when paired with a lock screen lock to give you two layers of security. Which ones are worth getting? We’ll help you out with the best applocks and privacy lock apps for Android! You can learn more about applocks by clicking here! It’s important to note that this is not an end-all-be-all solution for security. It’s good for kids or snoopy friends. However, these provide very little real security for things like stolen phones. We highly recommend continuing to use a lock screen because they are much more secure. Applock by DoMobile Lab is definitely one of the best applocks out there. The app can do the basics like locking up specific apps. It can also lock up specific images and videos. It also includes uninstall protection, fingerprint support, and you can even lock stuff like incoming calls, uninstalling apps, and your various system functions like Bluetooth. The app is free to download and use. You can unlock the premium features either by enabling ads or paying for the premium version via a donation. It's a strong app and one of our favorites. AppLock is another one of the better applocks on Android. Like you'll see, it can lock pretty much any app on your phone. It also boasts the ability to lock photos and videos. The app features an invisible pattern lock as well as a random keyboard just in case someone is trying to peep over your shoulder. You'll also get theming, the ability to replace the icon so you can hide the app, lock frequency, and more. It'll even take a picture of people who don't put the password in right. It's completely free to download and use. That's another good perk for this one. Applock Fingerprint Pro is a simple, but effective app lock. You choose what apps to lock. The app forces a fingerprint scan in order to unlock them. It works with your device's fingerprint scanner and it seems to work well overall. It also works with pattern and text passwords as well. Some other features include an image vault, some extra security settings, and more. It has a few annoying bugs here and there. However, we assume the developer will fix those in future updates if they haven't by the time you read this. We recommend giving it a good try before the refund time is up because this app costs $4.99 with no free version. However, on the plus side, it also has no ads and no further in-app purchases. This same developer does have a free applock, but it's not the same app. AppLocker by BGNmobi is a decent overall app lock app. It does most of the same stuff as other applock apps. That includes locking up apps and giving you various ways to access them. You get fingerprint support as well as pattern unlock and a password unlock. It also comes with some customization options and it can prevent other users from uninstalling apps. It won't dazzle you with a ton of extra or unnecessary features. It's just a simple app lock that does its job fairly well and it's also cheap. App Lock: Fingerprint Password is a simple and clean looking applock. It can lock up almost any app and you can use a PIN, pattern, or fingerprint to unlock them. 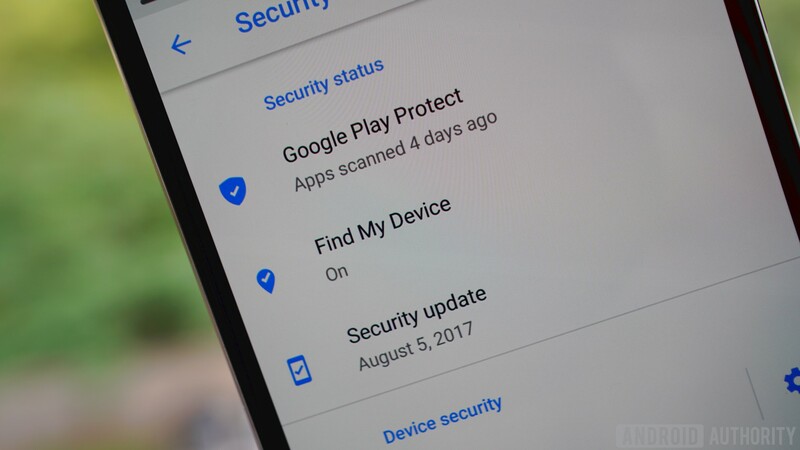 The app also supports more than ten languages, has a variety of settings, and it can even be set to proactively protect new apps that you download. Aside from that, it's one of the more simple applocks on Android. You can download the app for free, but you'll have to pick up the pro version to get all of the features. Norton is a big name when it comes to antivirus apps. As it turns out, they also provide a free app lock app. It uses a four digit PIN, password, or pattern as its lock system. It also supports photos alongside apps. The app also comes with a recommendations list that lets you know which apps should be locked. That's a great tool for those who want a more hands-off approach. Like most, it also takes a photo of anyone trying to get into your phone. It can be bypassed if the peeker is clever, but it's still one of the more solid applocks. Perfect App Lock is another one of the better applocks out there. It features the basics, including support for locking up WiFi, Bluetooth, and other toggles. It's also rather frustrating to get passed. It throws fake errors and all kinds of other messages out there. That makes people think there's a different issue other than an applock. The free and paid versions provide the exact same features. The only difference is that the paid version doesn't have advertising. It's a solid all around option. Smart AppLock is another decent free applock option. It'll lock up your apps and photos, including your settings, toggles, and phone app (for phone logs) to keep all of those safe. It disguises itself as a lock screen. That way people think they're back there all over again. Along with that, it provides auto-start upon reboot, break-in alerts, delayed app locking, and it has fingerprint scanner capabilities for Samsung devices. It's a free option that is supported by advertising. The only downside is that it's pretty easy to uninstall once someone figures out that it's there. Smart Launcher 5 is a newer launcher with some decent security features. The app features launcher stuff like ambient theming, adaptive icons, app sorting, gestures, hotkeys, and more. One of its more niche features is an applock. The launcher hides apps you don't want other people seeing. Additionally, if they do find them, the apps are then protected with a PIN. We would've liked to have seen fingerprint reader support, but it's a whole launcher with an applock built-in and that's a bit of a rarity in this space. Thankfully, this rarity is also pretty decent as a launcher and as an app lock. SpSoft AppLock is a decent option for applocks. It features password, pattern, and fingerprint unlocking. That's good news for those with fingerprint scanners. Like many, it'll take a selfie of people who try to get into your apps and fail. It also has a bunch of fun little extras. You can make your pattern unlock show up on a grid of up to 18x18 instead of the traditional 3x3. It'll also show a fake error message instead of a lock if you want it to. The app will even keep your screen on when using certain apps if you want. It's a good option that also supports over 30 languages. If we missed any of the best applocks for Android, tell us about them in the comments! To see our complete list of best app lists, click here.